Be the Miracle. Cat Beach Cats are rescued cats saved from desperate situations but with no place to go. Every day, we see and hear of healthy cats rescued from dangerous situations and even from human abuse. Luckily, there is Cat Beach – a No Kill Sanctuary. All too often, sick and injured cats come to Cat Beach — if we can afford the vet bills, then a little loving care can make all the difference. When owners can no longer care for their cats due to illness or death of a family member, they turn to Cat Beach for help. Cat Beach Cats live a happy life at the beach and can become wonderful adoptable companion pets. Our gratitude for the loving care from donors of funds, food, and time as volunteers, Cat Beach Sanctuary met all its expenses in 2017 – a total of RM 313,000. 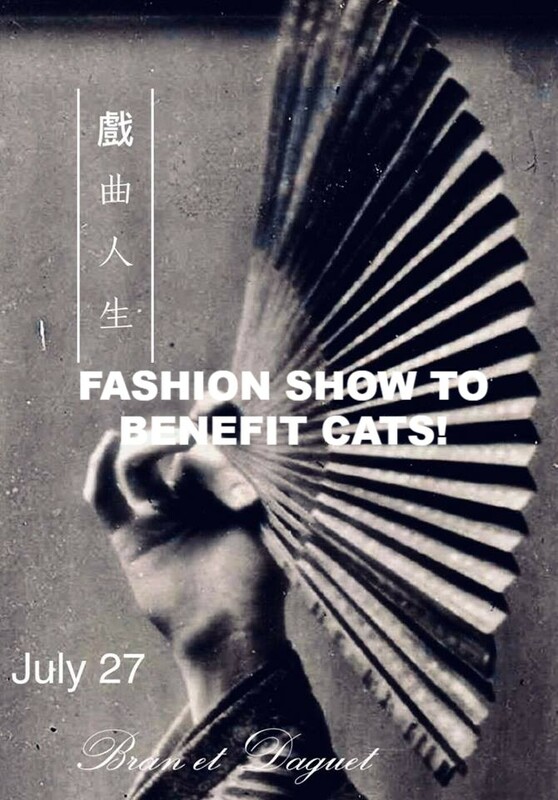 It will be more in 2018 as we try to meet the demand for this special cat sanctuary to accept more cats and provide more services..
Friday, July 27th Charity Fashion Show Penangpac, Straits Quay Mall- Come see the beautiful custom-made creations made by Bran & Daguet – to benefit Cat Beach Cats! With guest artists from the Chinese Opera! Get tickets at Bran & Daguet at Straits Quay Mall or Penangpac box office. 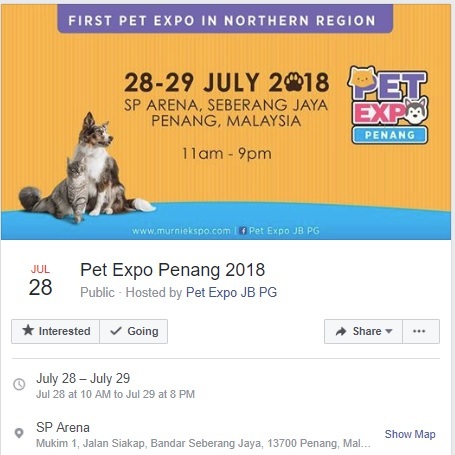 Saturday, July 28th and Sunday, July 29th – Pet Expo Penang Sebarang Perai Arena. Visit the Cat Beach Table and meet our friends from Miya Co and Gold-D pet food from Singapore. 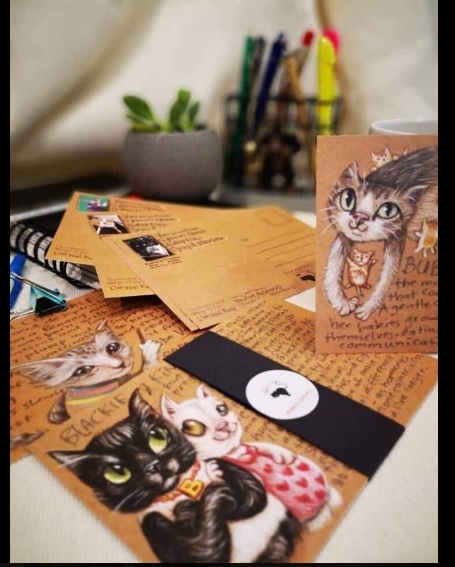 August 2018 – Art at Cat Beach! Come make your mark – paint a cat! 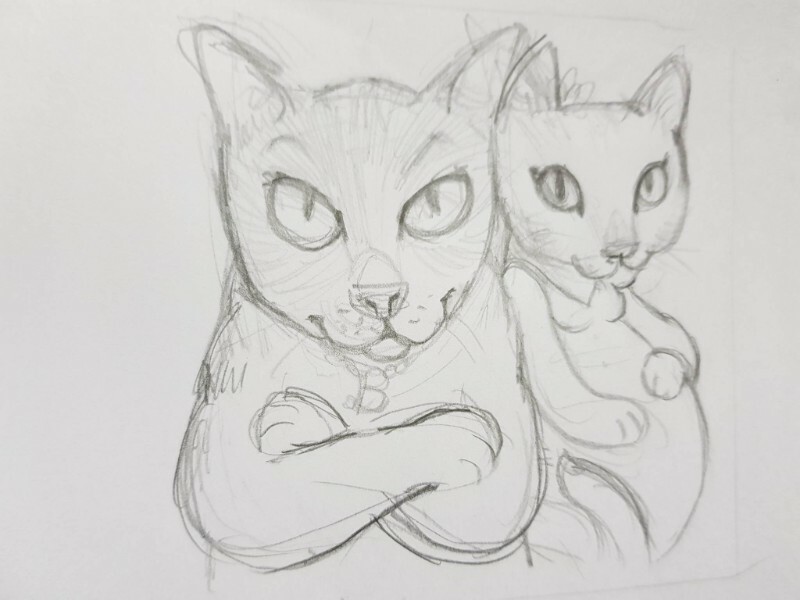 Miya Co. – Artist Lim Wai Fun has created these adorable cartoons from sketches to finished postcards featuring some of our favorite Cat Beach cats! Goes on sale this weekend at the Pet Expo and can be ordered from MiyaCo in future. Tata, Bubu, Gandalf, Blackie, Kimchi — read and share the stories of these special Cat Beach Cats! Click here to have Gold-D premium cat food sent directly to Cat Beach. It has done wonders for our sick cats! We are so grateful for gifts of Gold-D food. 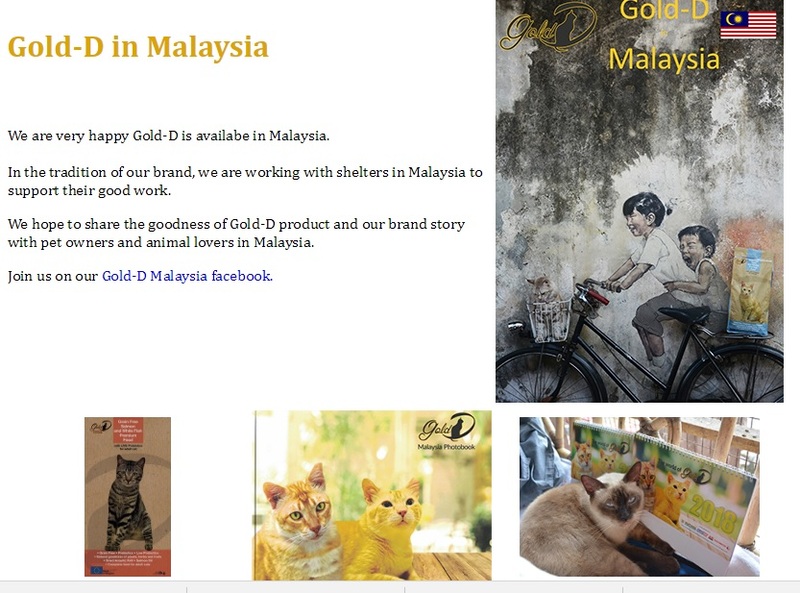 http://gold-d.com.my/donation/cat-beach-shelter-penang/So happy that this Singapore-based company has come to Malaysia and chose Cat Beach to be one of their beneficiaries. 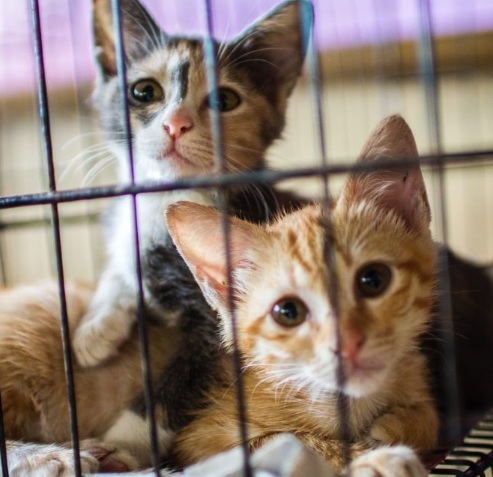 With their partner organization, AHA, they are also doing wonderful work in Cambodia and elsewhere to bring good nutritious food to cats in temples, monasteries, and elsewhere where there are cats in real need. Come meet Chan and Gary and other Gold-D folks at the Pet Expo on July 28 and 29. August is always exciting at Cat Beach! Georgetown Festival is on — and Cat Beach celebrates with Cat Art. Come on out to paint cats (but not on a cat – on the walls, walkways, tarps and more). Make your mark! 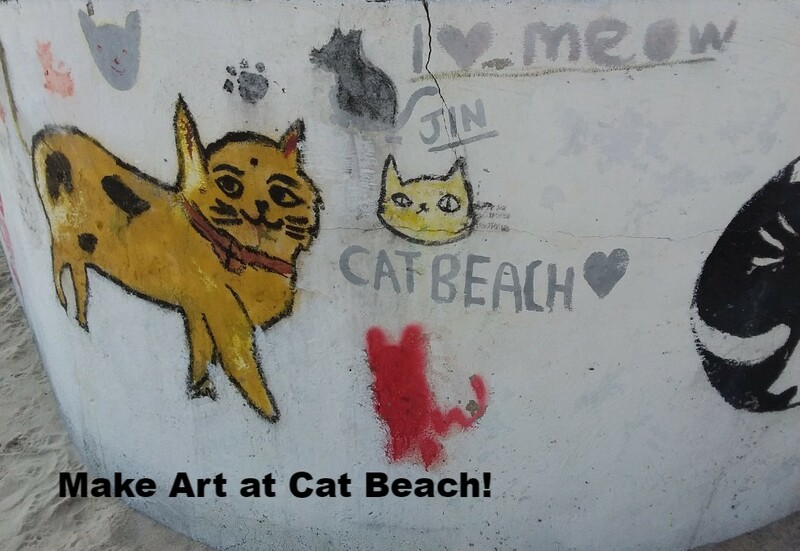 Come create Art at Cat Beach! Copyright © *|2018|* *|CAT LOVERS INTERNATIONAL SOCIETY, PENANG|*, All rights reserved.